A big "Thank You" to each and everyone of you for the huge impact you had on Village View Post as we get ready to close off the year 2010. I am amazed and proud of the year I have had blogging on Village View Post for 2010. I plan on keeping the momentum strong for 2011. That's quite a huge task, but with you here on the journey with me it will be a lot of fun. Your readership and comments mean a lot to me, and I must tell you that you and my community are the reason that I have been able to write this blog for the last two years. I can't thank you enough for all your love and support. Thanks for reading and I wish you a peaceful and happy holiday season!! It has been very good for my family and I reading your numerous posts. You have done a very excellent job keeping us up todate with current and past events. I personally enjoy the posts about our beautiful village and the history lessons on some of our brave men and the sacrifice that they made for us. I would also like to thank you for the opportunity for being a guest writer on your blog. Helping others to live a better life through education on a Healthy Lifestyle has been both educational and remarkable so far. Here's to a Healthier 2011! Thank You! Same to you, Linda!! So happy that your efforts to keep Belizeans at home and abroad informed, is recognized by our Belizean Government by inviting you as a part of just a handful of Belizeans at the U.N. Big Accomplishment in just two years. Merry Christmas Linda, and thanks for keeping us informed with all the happenings in Belize and abroad. 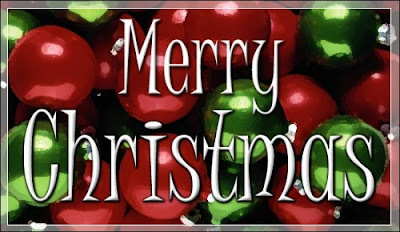 Merry x-mas cuz.... May the Lord Bless you and give you a wonderful New Year. Merry Christmas Linda have a good and blessed New Year. We are glad to support Village View Post. I just wanted to say it was very interesting and informative at the same time!!!!!!! Keep up the good work. Dear Linda, sending you Seasons Greetings, and Happy New Year, blessings Health and Peace for the forthcomming year. I was glad when I started reading your posts.They have been very informative.I also enjoy the music.It all brings back memories of the Good Old Days. Thank you all from the bottom of my heart for your kind words and most of all for your continued support.